The Dover mirror is a round piece fashioned from resin. It has a rustic, burnished copper finish giving the piece a simple, yet sophisticated look. 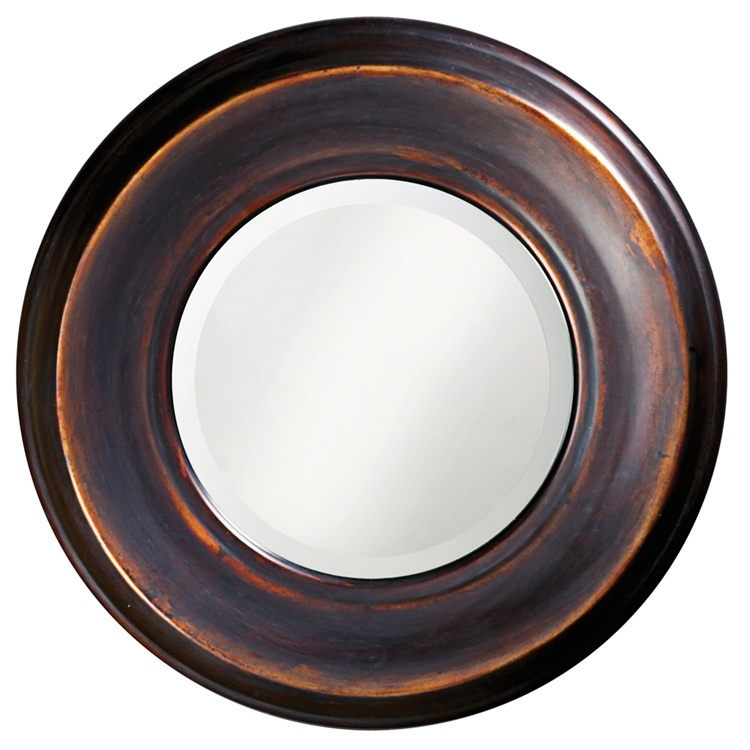 The Dover Mirror is a perfect accent piece for any design. The mirrored glass on this piece has a bevel adding to its beauty and style. Customizable for larger orders.